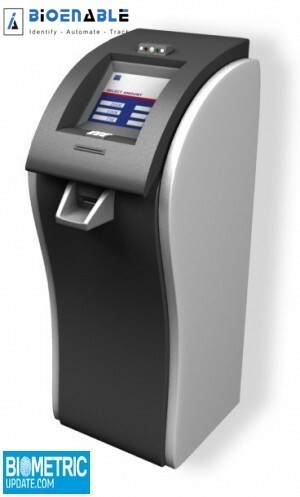 BioEnable has announced the launch of its newest-generation Biometric Kiosks with a new range of features for identification and verification. According to the company, this new devices includes increase memory and a large computer CPU, which combine to offer sufficient processing capabilities to support high and biometric verification or identification systems. Boasting simple repairs and maintenance, multilingual touch screen support and adaptability, the company suggests this kiosk can be used for application outside of the banking sector including food coupons, self-service kiosks, ticket sales, member verification systems and retail, among others.